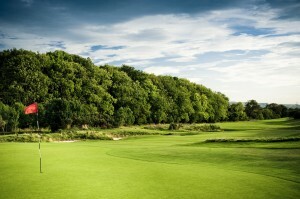 The Codrington Course was opened in 2002 and since then has developed the reputation of being one of the toughest courses in the South-West. From the back tees the course stretches to 7106 yards (SSS 75), however from the medal tees measures 6625 yards. With a par of 72 and a SSS of 73 the Codrington offers a true test for any level of golfer and is a venue for over 150 professional members. The course has been framed amongst woodland combining an eclectic blend of modern and links style design with numerous bunkers and lakes coming into play on almost every hole which only further adds to the exciting character of the course. 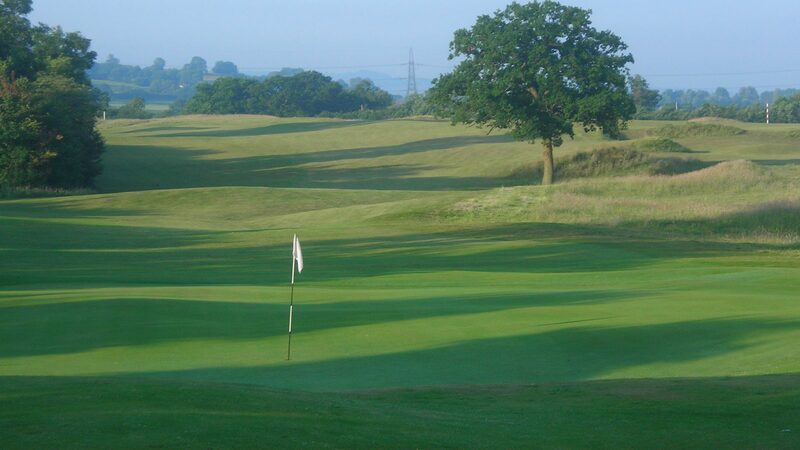 The greens have been built to USGA standard with many testing contours and undulations. 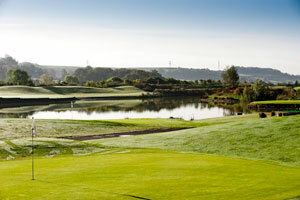 The course was ranked 113 by Golf World in 2006, ‘Best Courses in Great Britian and Ireland’. A new course record of 63 was set during the 2009 Euro Pro Motocaddy Masters by Matthew Ford with the course playing 7045yds. The Stranahan course opened in May 2010 and presents a very different prospect to the golfer than it’s elder brother the Codrington. At around 5500 yards and a 67 standard scratch the Stranahan is much more golfer friendly, but it will still offer a challenge to the experienced player with shot placement and good putting important factors in making a good score. The greens are built to USGA standards and are full of both subtle and severe breaks. The course is minimal in bunkering and not much water save that of the 1st, however creative contouring and undulations are testing obstacles in there own right. 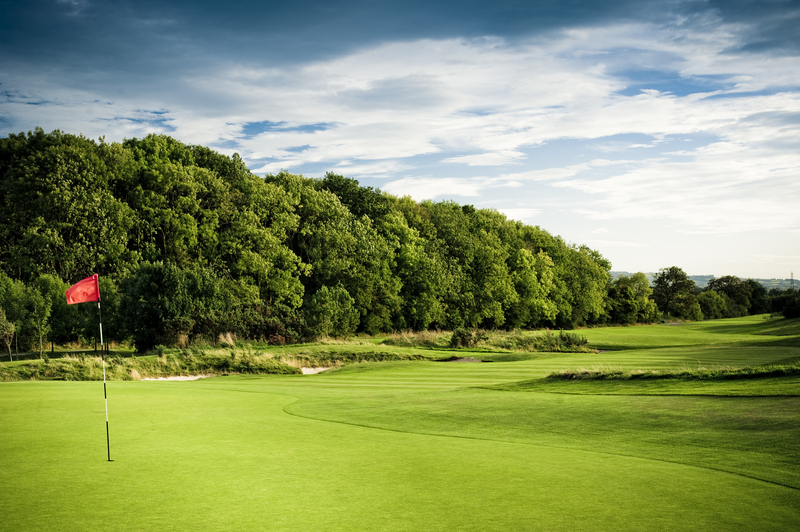 The Stranahan is rare as it is in a small group of golf courses that start and end with a par 3. With 3 Par 5s and 7 short holes we should see a welcome return to the 3 hour round, modest players may break 80 and great players may test 60. The official best score is 60 by Gordon Brand jnr though he has scored a 59 in a friendly. The Watergarden course is about fun and playing 9 holes without finding water is pretty rewarding. The holes range from 54 yards up to 113 yards, great for sharpening your short game. All the greens have been built to the same standard as the other courses play is strictly from the artificial tees. Several of the holes would grace most courses the 5th and 7th holes are both holes that require an accurate shot, played across water to half sized greens. A round takes between 45 minutes and an hour and is a must play if you are visiting. 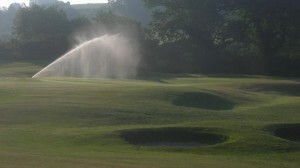 The course must be one of the longest in the world and up to 2010 was the longest in Great Britain. The front nine at 4077 yards probably is the longest in Europe. Primarily it is the Codrington course but with a different 2nd & 3rd hole and the 7th & 8th are combined. There are several opportunities when we play the championship course though only once a year from the backs. If you ask in the pro shop and its quiet on midweek mornings you can play the championship course, after the first you merely play the Stranahan 17th as your second hole then from the Stranahan 18th tee play to the 2nd green of the Codrington, every hole is the same until you get to the 7th of the Codrington and you play from the 7th tees straight through to the 8th green. From the 9th onwards all the holes are as the Codrington.